This slaw recipe sounds really refreshing. 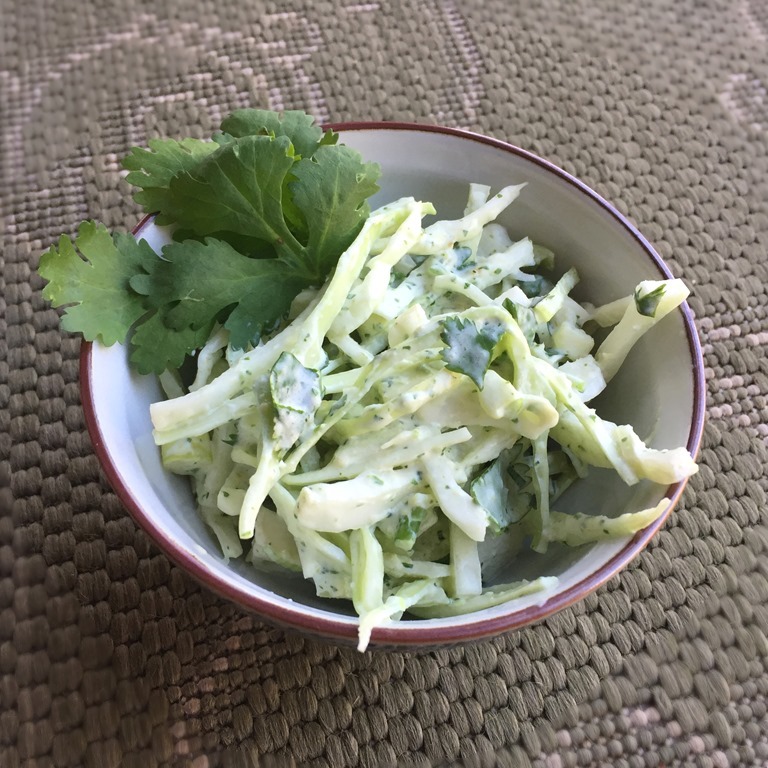 As I read, I wondered how cucumber could add another cool summer flavor – cored out and spiralized with the cabbage perhaps. I think cucumber would be fabulous in here. I will have to try that. Thanks!